This elegant 40L twin 20L compartment, motion activated sensor bin is designed to fit neatly into any kitchen or work environment enabling two different types of waste to be accommodated. The lid opens automatically when you approach and closes after 6 seconds. 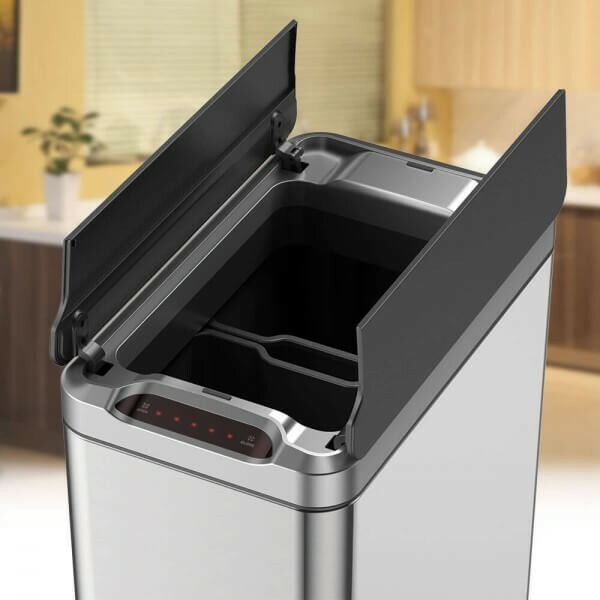 The EKO Phantom narrow kitchen bin uses standard bin liners that are secured in place by a handy retaining ring, that hides untidy bag hangover. 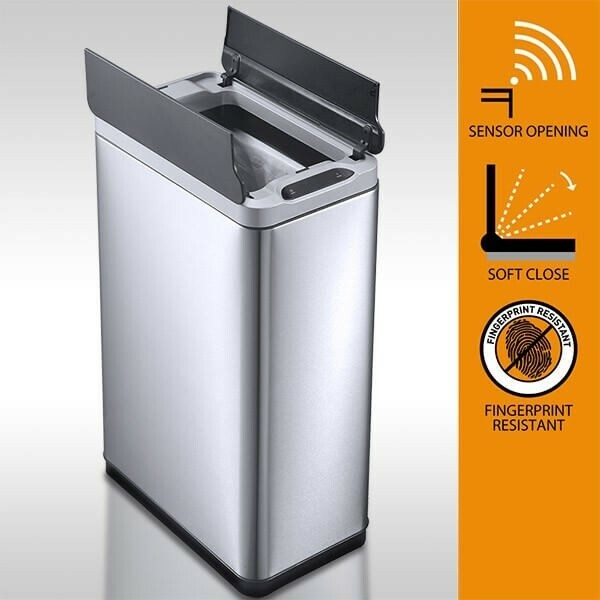 The ring holder has interior folding handles to assist the wrapping of the bin liner, and the body of the bin has a vented plastic base for easy cleaning and odour control. This narrow kitchen bin is constructed from high-quality brushed stainless steel that is attractively styled for modern living. 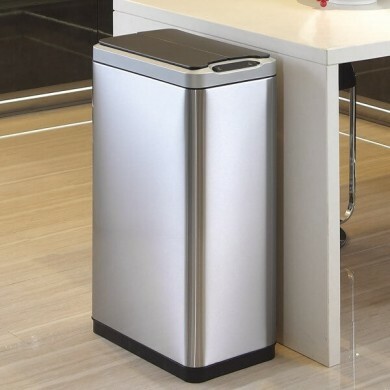 The flat, narrow design of the EKO Phantom Series bins allow them to be placed flush against a wall or work unit for maximum space utilisation.